We have been watching surfers for hours sitting here at one of the best beaches in Aegean coast of Turkey. I like watching them, that's all. Having tried once years ago, I've decided that it's not my thing. My husband is the real " all sports guy" in the family, especially he likes water sports. Here in Alaçatı (also named as Agrilia or Alatsata), the weather is always windy making it ideal for surfing. Today it is widely known as "windsurfers' paradise". Some excellent surfing schools are located in the area. Both kids and grown ups take courses on daily and weekly basis. Although there is a growing interest from European travel agencies, Alaçatı is mainly filled with Turkish vacationers and surfers from Istanbul and İzmir. In fact, this beautiful place has a lot to offer for everyone including sports, fun and food. Back to my experience in Alaçatı, the key word for my summer vacation is "the beach". I love beaches because I love swimming. My summer vacations often include local gourmet tours, visits to ancient cities and museums but I'd like to swim at least two times a day. 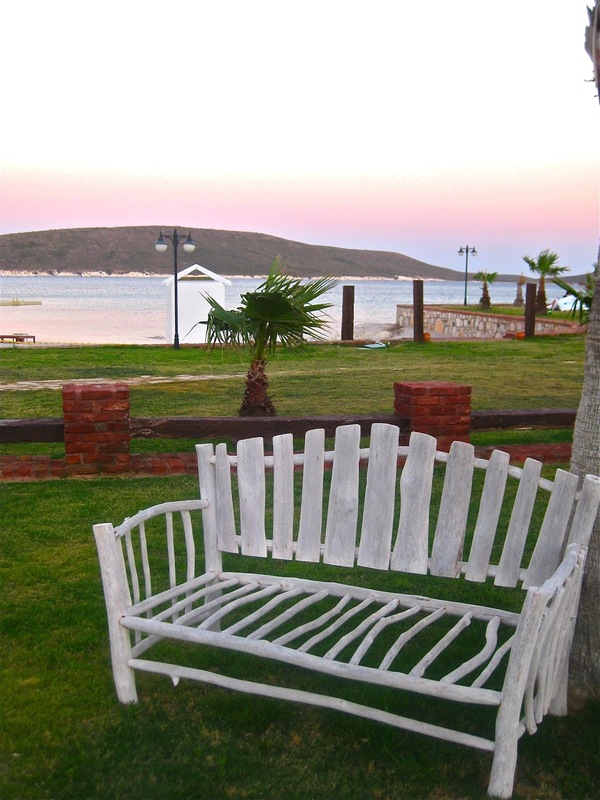 Alaçatı has beaches that are open to public even though some of them are located in front of the hotels and private clubs. The beaches are either sandy (Solto beach ) or partly rocky & coarse sand (Alkoçlar). Yes, there are not long, expansive patches of sand found here like Antalya and Alanya but the water is perfectly clean, comforting winds usually make the summer heat quite bearable and beach facilities are good except not having lifeguards. stunning blue flag beaches. Aside from " sea and sun", historic sites like "Ephesus", "House of Virgin Mary", "Teos" and many others make the region a must destination for travelers. 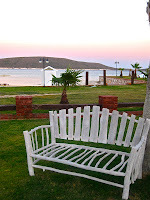 During our vacation in June, we stayed at Hotel Alkoçlar and Hotel Solto, both having good facilities and beautiful beaches with crystal clear waters. 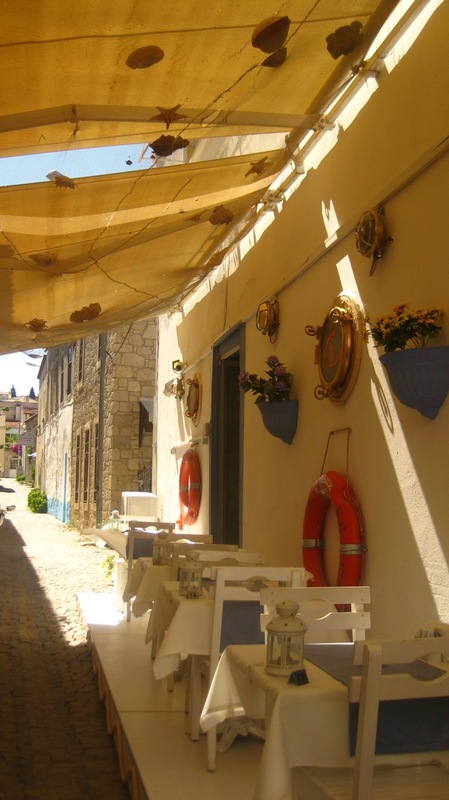 The old town Alaçatı, a picturesque lively town where colorful shops, hotels and restaurants are lined in the typical streets, is worth to discover. It is only 2 kms away from the surfing and holiday resort. Transportation is made by the small local buses (mini bus) that depart frequently in high season. village atmosphere is beautiful; I hope it will not lose the charm of its tranquil cobblestone streets as the town grows bigger. Becoming increasingly the choice destination of natural food enthusiasts, the town is a heaven for foodies. 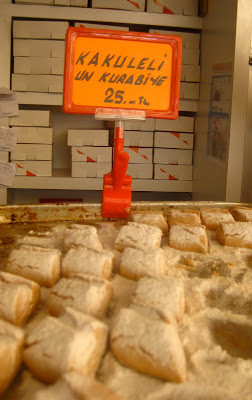 Restaurants, cafes, Turkish pudding shops, bakeries and patisseries are lined in the narrow streets. 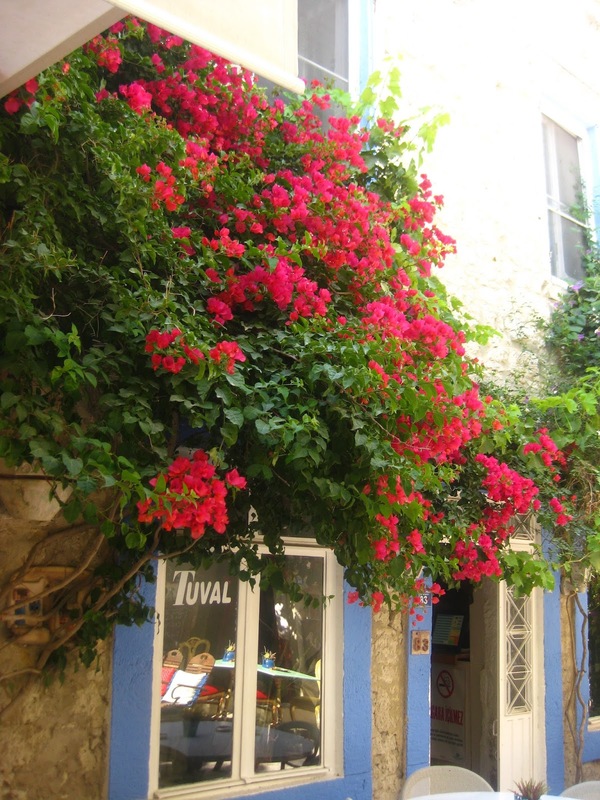 Most restaurants are mainly located in the renovated old town houses with small flowery gardens. Authentic dishes in the region are flavored with mastic (sakız), thyme (kekik), mint (nane) and other Aegean herbs and spices. Aegean garden herbs like blessed thistle (şevket-i bostan), rock samphire (kayakoruğu), sorrel (kuzukulağı), stinging nettle (ısırgan) and mallow (ebegümeci) are some of ingredients in the simple yet flavorful Turkish Aegean cuisine. 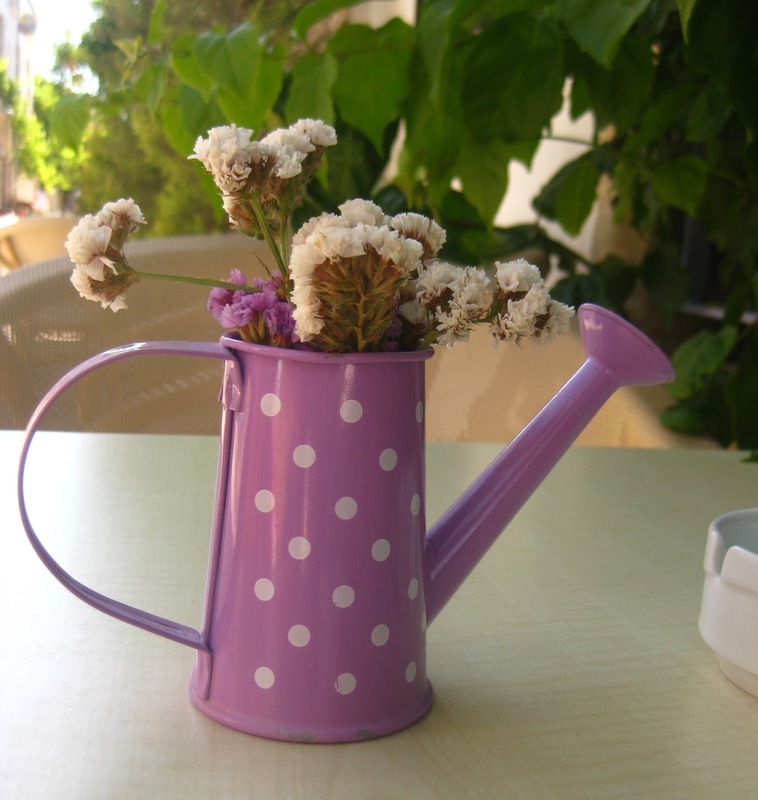 "Spring festival" in Alaçatı, dedicated to the promotion of the Aegean herbs, is a colorful event that takes place in April. Articles on preserving the authenticity of the Aegean cuisine are always found in local and national papers. open markets are filled with all kinds of vegetables and garden herbs. handcrafts, textiles, arts and bijouterie... shopping is fun here! You should take a late afternoon stroll into the town's heart filled with stone houses, gardens and secret paths. Various shops selling all kinds of souvenirs and local gourmet products like jams and preserves, olive oil, molasses, dried herbs, pottery and handcrafts are found in the town. Transfer from İzmir Adnan Menderes Airport to Alacatı is less than 2 hours. Surfing classes are held during the summer months with qualified instructors. I happened to meet a crowded kids group at the hotel from the age of eight. I was told that English speaking kids are welcomed. 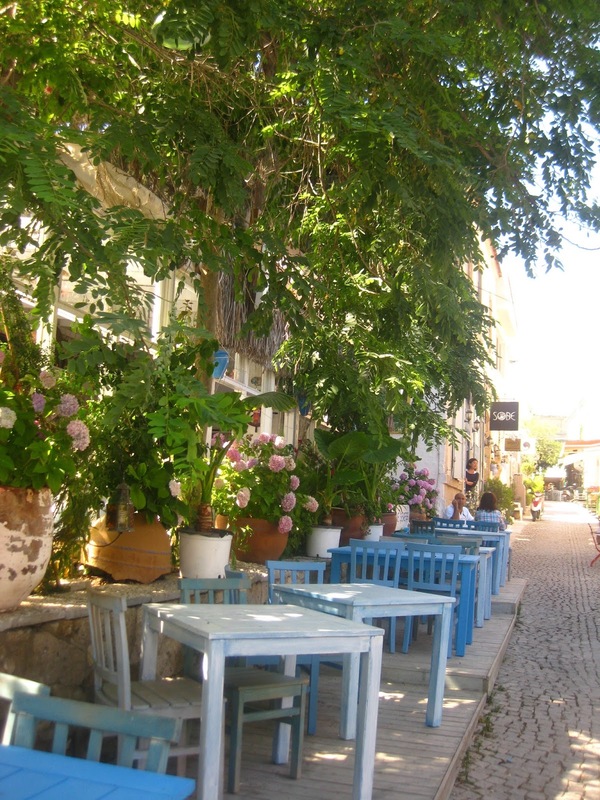 If you want to get an idea with the whole region including the lovely neighbour town of Çeşme car rental is a must. Thanks a lot Daniel, glad you liked it! Yes, I need to update this post as hotels I mentioned changed names, etc etc... I will publish a revised and expanded blog post probably in April. Really, nice blog with valuable information. Watersports are one of the best ways to rediscover the fun, excitement and thrill. If you are looking for some extreme fun on the Gold Coast, then you can try Jet Ski Safaris.